You are here: Home / Body Image / Activism / We Are Top 50 Emotional Eating Blog Sites! We Are Top 50 Emotional Eating Blog Sites! 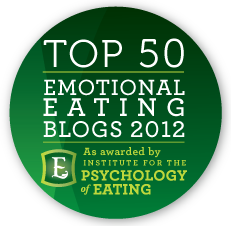 We have been voted one of the top 50 emotional eating blogs from the Institute of Emotional Eating!